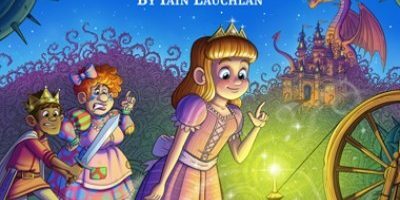 You’ll find everything you need to know from Christmas light switch-ons, pantomimes, an event guide AND places to visit during the festive period. If you’d like to discover where Father Christmas is going to be this year, click here. From Saturday 17 November until Christmas Eve, shoppers will be able to park for free at the Warwick District Council offices on Milverton Hill between 8am and 6pm on Saturdays and Sundays. Late night shoppers can also park for free after 3pm in the Covent Garden Multi-Storey and surface car parks on Thursday 6, 13 and 20 December. To support its late night opening the Royal Priors Shopping Centre is also offering free parking in its multi-storey car park from 5pm to 8pm on Thursday 6, 13 and 20 December. Christmas events running throughout the festive period. All the info you could need is on this link, click here. 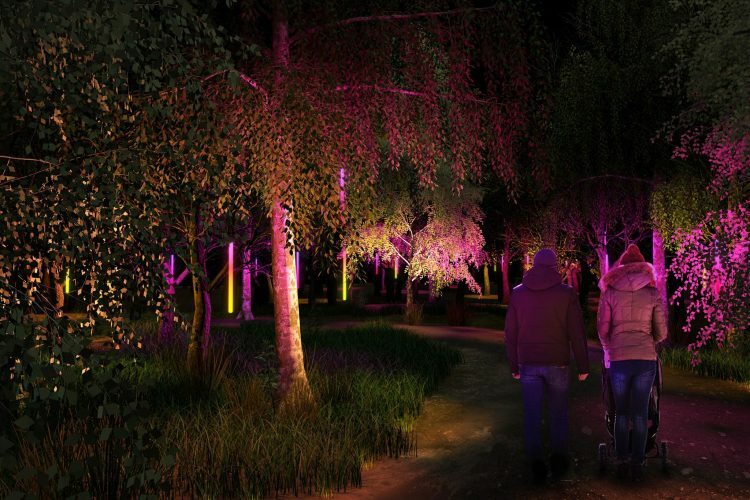 The Birmingham Botanical Gardens will be open from the 23rd November to 1st January, where visitors will get a chance to see the grounds like they never have before. Tickets are only available by pre-booking online. Click here to see more information and opening times. Workshops run from 10am – 4pm – Last entry is 2pm. Please allow 1-2 hours to make a Lantern. For more info visit the Luminate Leamington website here or scroll down to see details of the lantern parade itself in December. 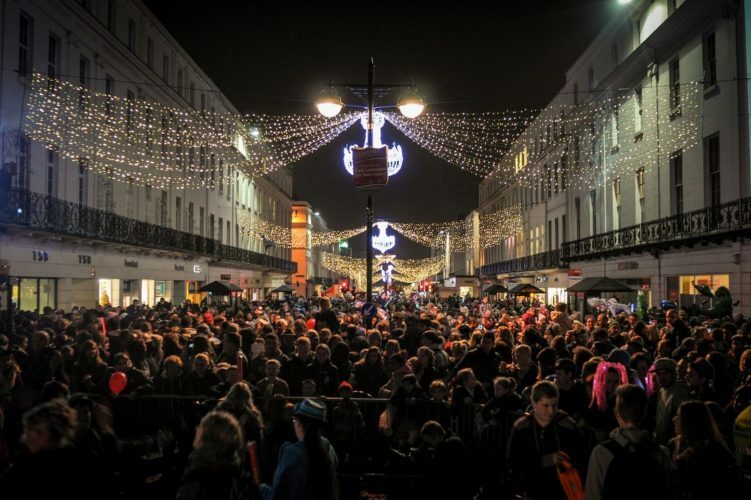 Sunday 18th November – Leamington Spa Christmas Light Switch on 5pm. 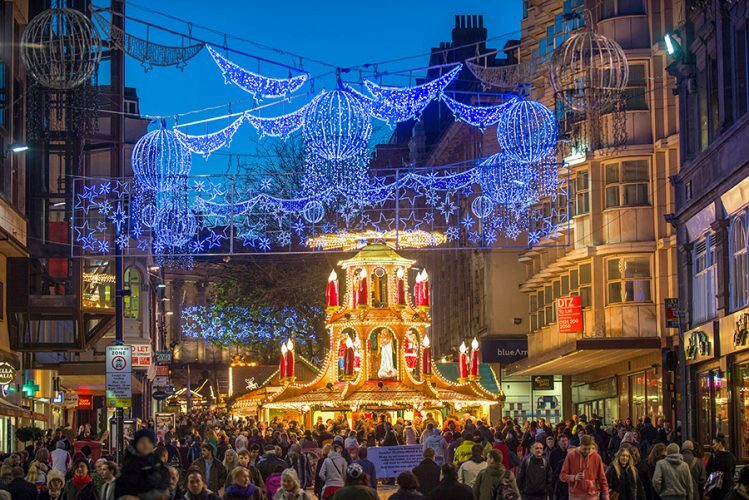 The Leamington Christmas lights switch on is taking place along the Leamington Parade, Regent Street and Warwick Street on Sunday 18th November 2018. There will be a Yuletide market from 10.00am, fun fair rides, tree of lights (outside the Town Hall) and Touch FM stage show (bottom of parade) all leading up to the Christmas lights switch on at 5.00pm. 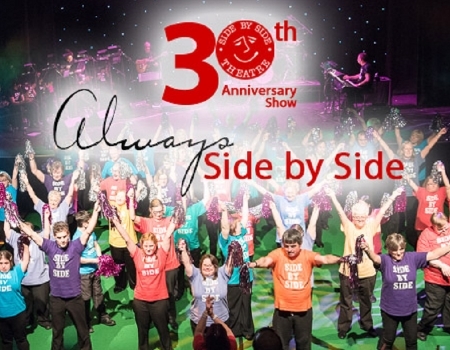 Side by Side Theatre brings together adults with and without learning disabilities from across Warwickshire to create an amazing annual show. 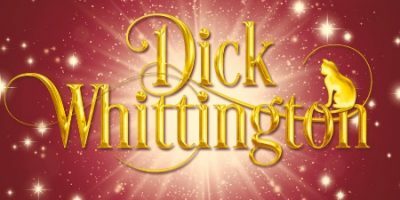 Looking for a unique Christmas present or a festive treat? Look no further, as The Frost Fair opens at Ragley for it’s second year in 2018. The event contains a carefully selected array of crafts, gifts, unique and original presents and fine foods from an abundance of stallholders, making The Frost Fair a great opportunity to find special presents. A Christmas Fair with something for everyone in the family. Located at Warwick Gates Community Centre. In Bloom Wreath Making Workshops – 27th November – 9th December with daytimes, evenings and weekend options. For a fun, friendly & festive event, please join “In Bloom Workshops” at our beautiful Farmhouse and make your very own luxury Christmas Wreath. It costs £40 each. Which includes: all materials, tuition, mulled wine & mince pies. Stalls and rides in & in the Market Hall Museum you can browse art and craft stalls selling gifts, warm up with a mulled wine and mince pie from our outside stall and enjoy hot drinks, cakes and savouries in the museum cafe. Visit Father Christmas in our grotto (4.50 per child, turn up and get a timed ticket, includes gift and taking part in a make and create craft activity). £1 to just take part in the craft activity. 10% off all purchases in the museum shop. The Kenilworth High Street Christmas event takes place in the traditional shopping high street of Kenilworth. 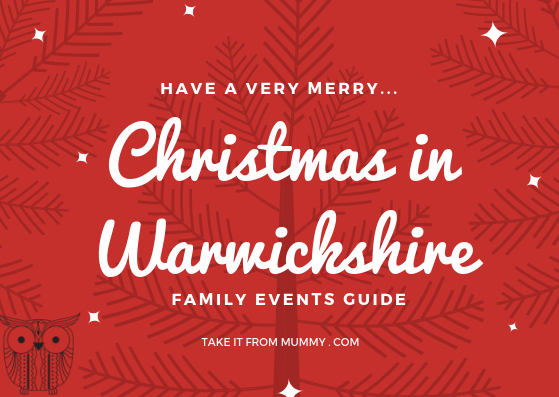 This Christmas event consists of festive food and drink stalls, traditional Christmas activities and entertainment and an appearance from Father Christmas. The Christmas lights will be switched on at 6.30pm for all to see and enjoy. Join us at the Chase Meadow Community Centre for opportunity to buy unique Christmas gifts and decorations that are not available on the High Street. 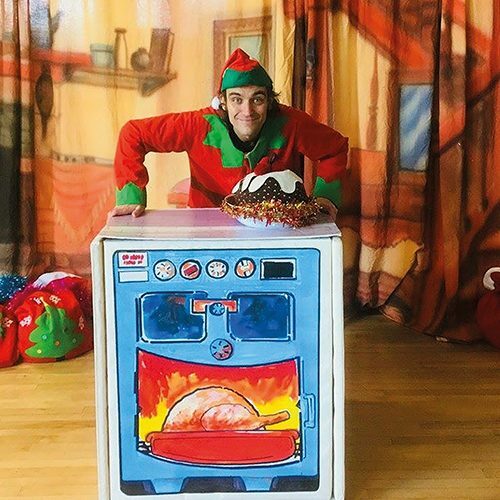 Join the Playhouse Christmas elves, Bertie and Betty, and learn the beginnings of many Christmas traditions, make cards, decorations and presents, stage a mini-pantomime and have a very special party with all the fun of Christmas. Tickets cost £5 and are available here. 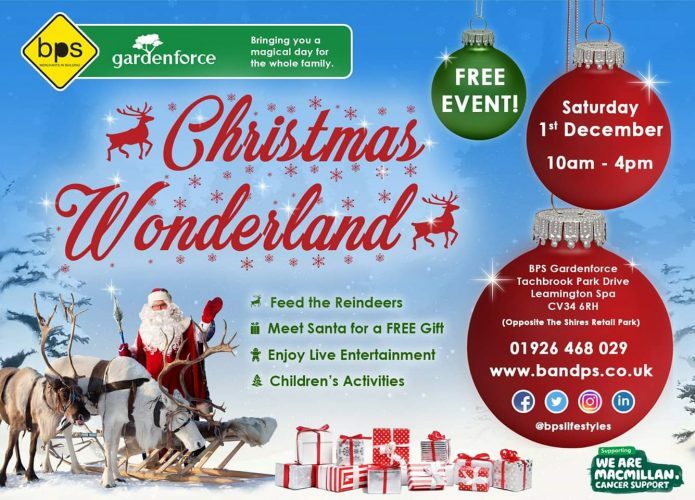 Christmas Wonderland at BPS Gardenforce on Tachbrook Park Drive, Warwick 10am to 4pm. Free event to all. Free to meet Santa and receive a gift, Free to feed the reindeers, live entertainment across the day and lots more. Enjoy tasty treats from our food market and cafés, or bring a packed lunch and explore our new Art and Nature Trail. Don’t forget your wellies! 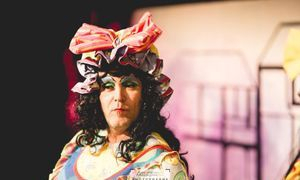 Get cosy in our theatre, studio and concert hall and enjoy our family theatre show Wilde Creatures, Lord of Strut’s dance fantasy adventure, and a performance of Handel’s Messiah by our very own University of Warwick Symphony Orchestra. Tickets are on sale now for these shows. Join us from 4.15pm at The Clock Tower in Jephson Gardens for some family entertainment before the Lantern Parade sets off at approximately 5.00pm. 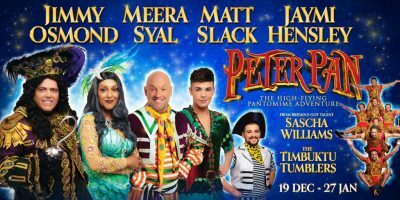 The parade will meander around the Gardens before setting off on a short route to the Town Hall accompanied by carol singers, music and stilt walkers. It will finish with traditional Christmas carols by the Christmas Tree at the Town Hall. Sunday 2nd December 3pm Onwards. The Plough & Harrow, Whitnash Road. Arty Splats, Warwickshire – Christmas classes! Lots of festive messy play fun for your little ones (6 months – 5 years). 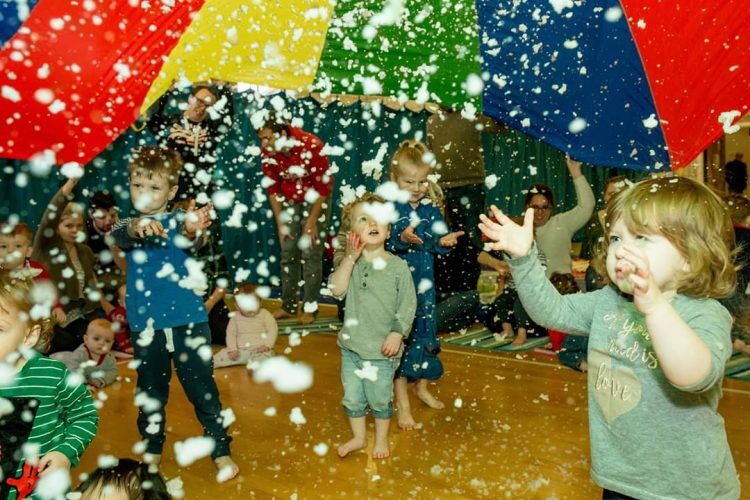 Think tinsel, snow, sensory play, arts, crafts, bubbles, songs and much more!!! Arty Splats will be bringing tons of messy Christmas Fun for your little ones! 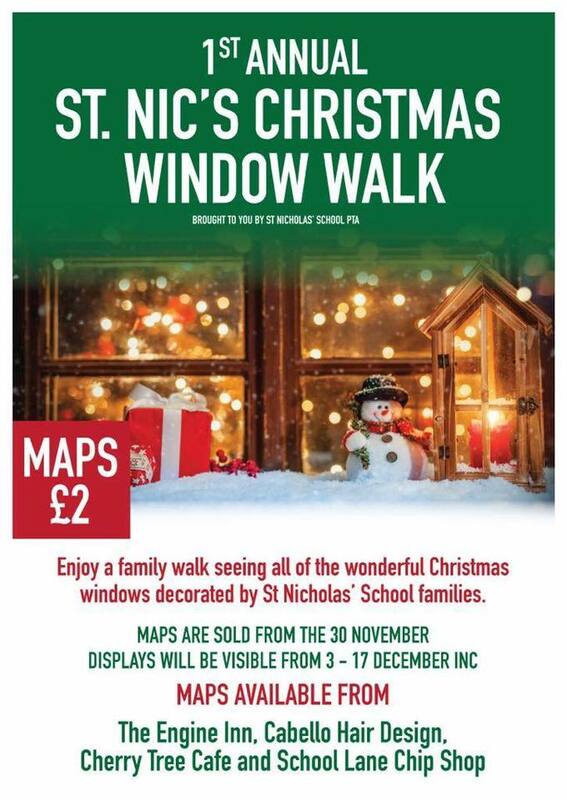 We’ll have Christmas Playdough, trees to decorate, mix up some magical Reindeer Food (environmentally friendly) get stuck into our Snow Blizzards and much more!!! Each little one receives a gorgeous gift. There may even be a visit from the big man himself… Toddlers 10:00am Babies 11:15am. For more information, email Arty Splats here. Join us in the chapel for a jolly sing-a-long of festive favourites with The Rocco Singers. 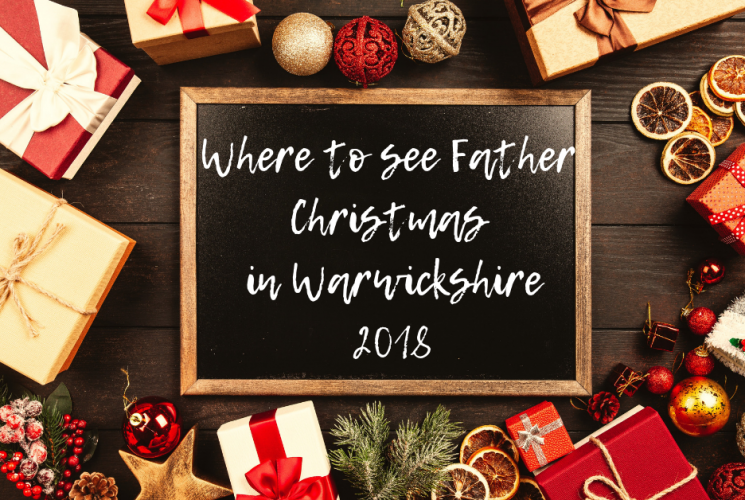 Click here to find Father Christmas locally! Posted on November 15, 2018 by Nikki. This entry was posted in Whats on in Warwickshire.